Musaafer, the Indian restaurant that’s opening next year in the Galleria, remains one of Houston’s most mysterious restaurants. 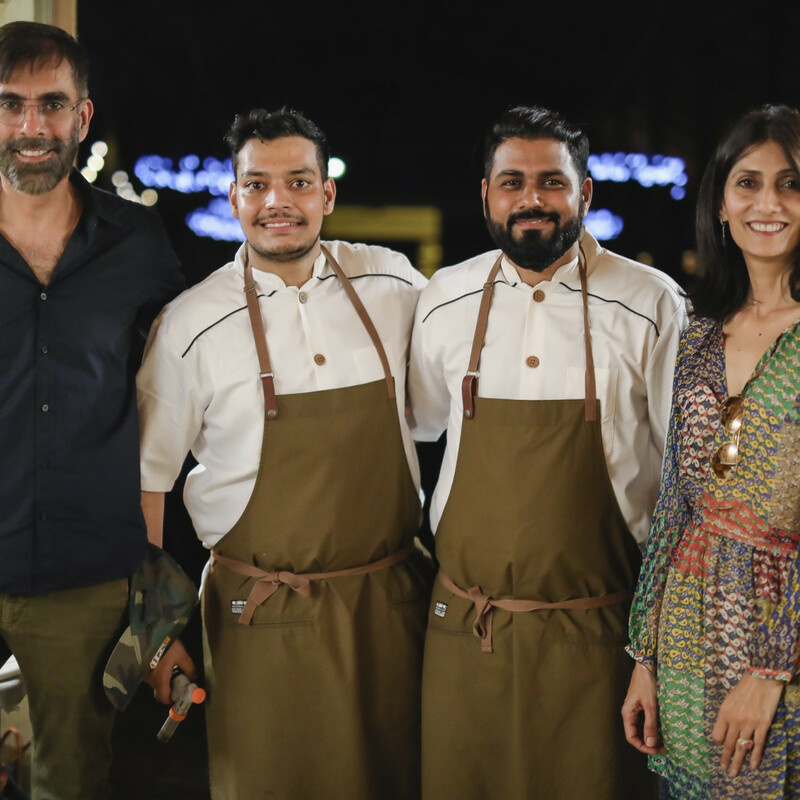 Its ownership group, The Spice Route Company, primarily operates restaurants throughout Africa and the Middle East, and its chefs, Mayank Istwal and Shivek Suri, haven’t worked in American restaurants. One smart aleck food writer compared the restaurant to Baker Mayfield, the Oklahoma quarterback drafted first overall by the hapless Cleveland Browns. 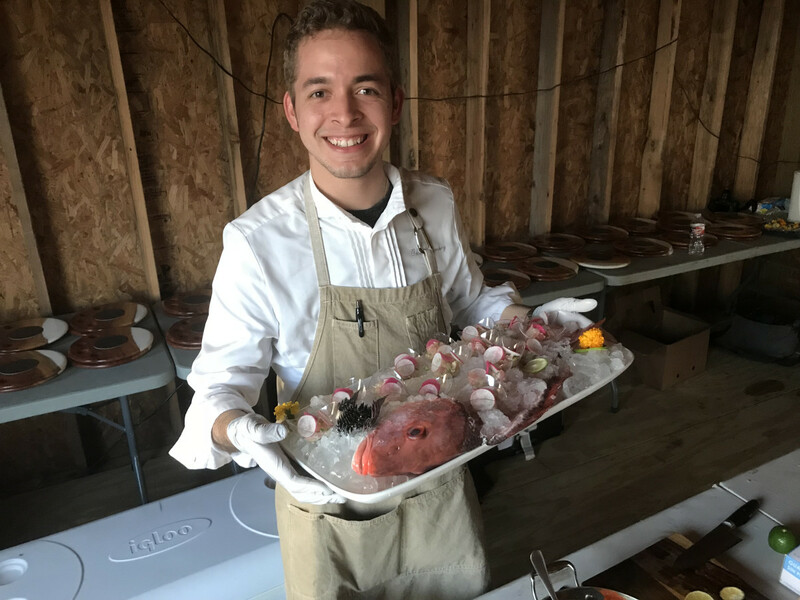 Just as the Heisman Trophy winner has led his team to two unlikely victories since taking over for Tyrod Taylor, Musaafer made a strong first impression at last week’s Recipe for Success Chefs in the Field pig roast. 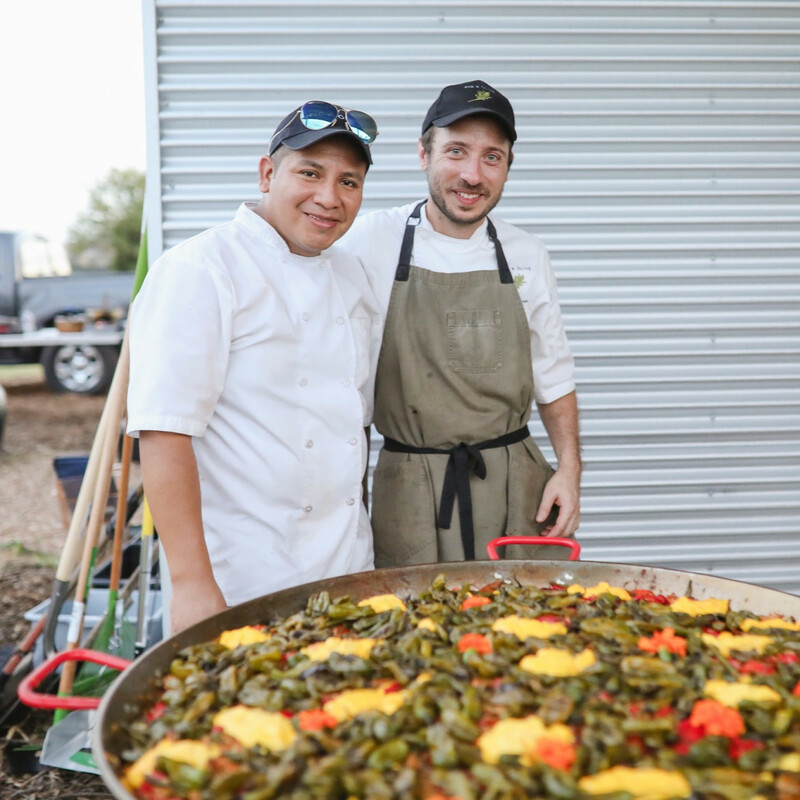 Held at the non-profit's Hope Farms in Houston's Sunnyside neighborhood, the meal featured dishes designed to mark the transition from summer to fall. 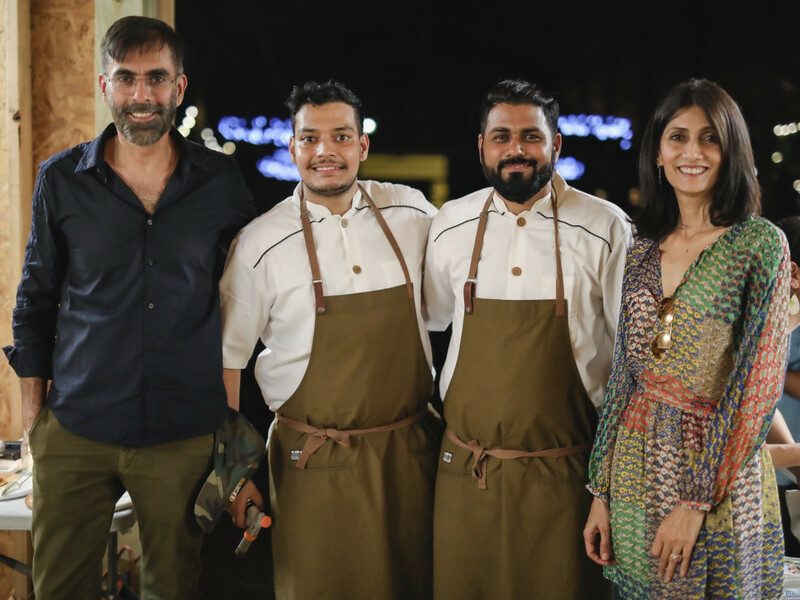 With Musaafer owners Mithu and Shammi Malik in attendance, Istwal and Suri delivered two dishes that hint at their potential. 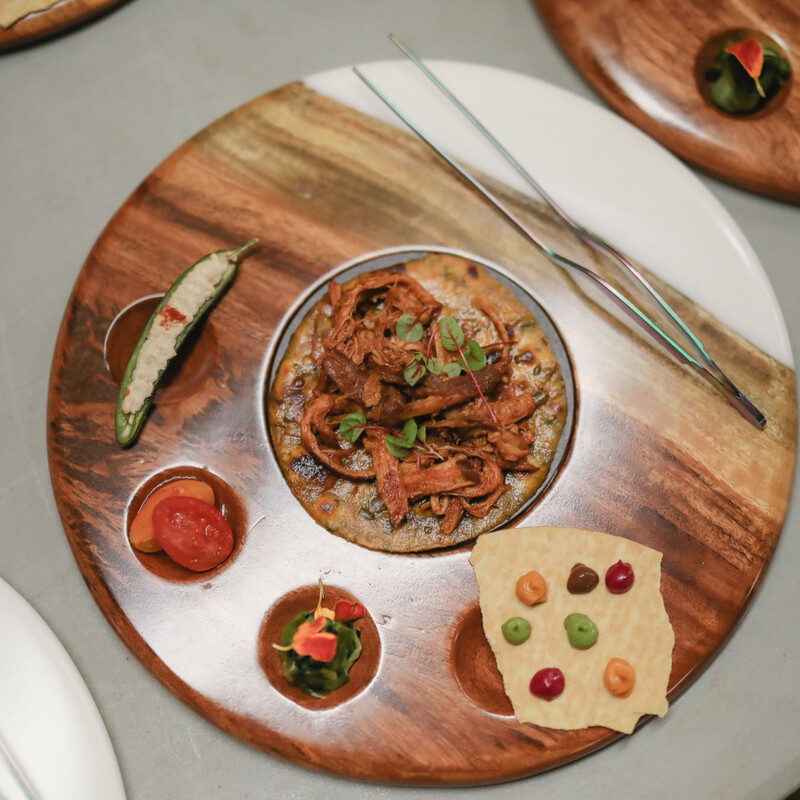 The first, titled Roti Pey Boti Pork, offered a clever spin on the Portuguese roots of the dish that eventually evolved into modern vindaloo. 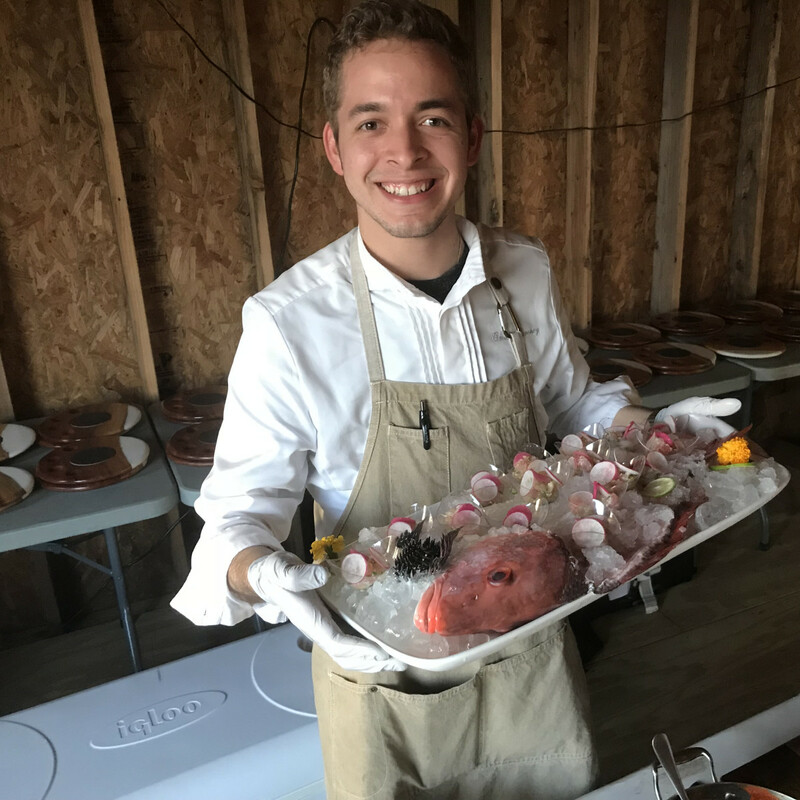 Using locally raised pork from Jolie Vue Farms that they cooked sous vide and then slow roasted, Istwal and Suri served the meat on a fenugreek-flavored flatbread with sliced tomatoes and pickled vegetables. Taken together, it made for a well-balanced, slightly spicy bite that the 75 attendees quickly devoured. If it had been served on paper plates, the dish would have been enough to be memorable, but that’s not what Istwal and Suri did. 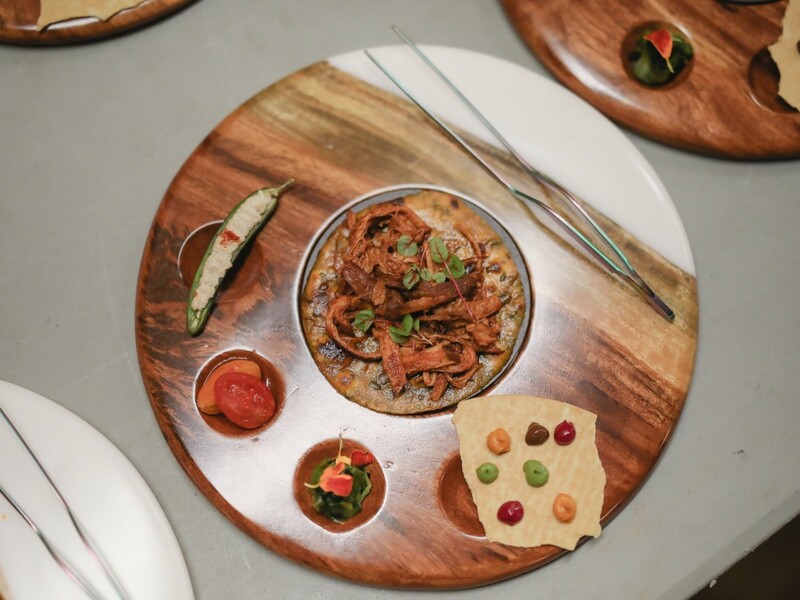 Instead, each diner received a custom made wooden plate that had been specifically designed for the dish. 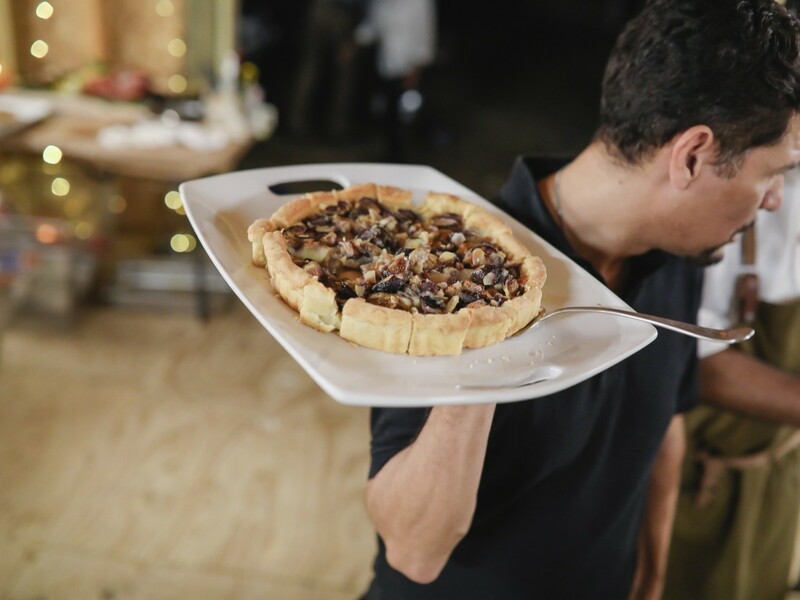 In addition, the dish arrived with a small spray bottle filled with a mix of apple, cinnamon, and ginger that added an interactive element of “spritzing” the bottle’s contents into the air to add a fragrant element. 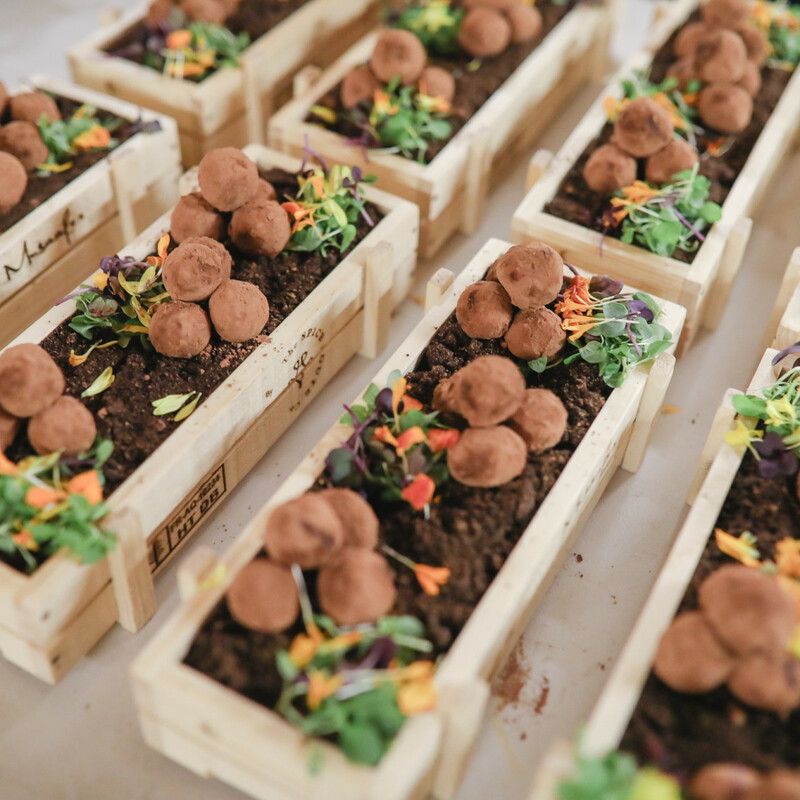 For dessert, the duo created Besin Ladoo Bon Bons made with gram flour, clarified butter, and a single-origin chocolate coating; they served the dish with an “edible soil” of chocolate in custom made wooden boxes. Taken together, it’s easy to imagine both dishes being included in a multi-course tasting menu. 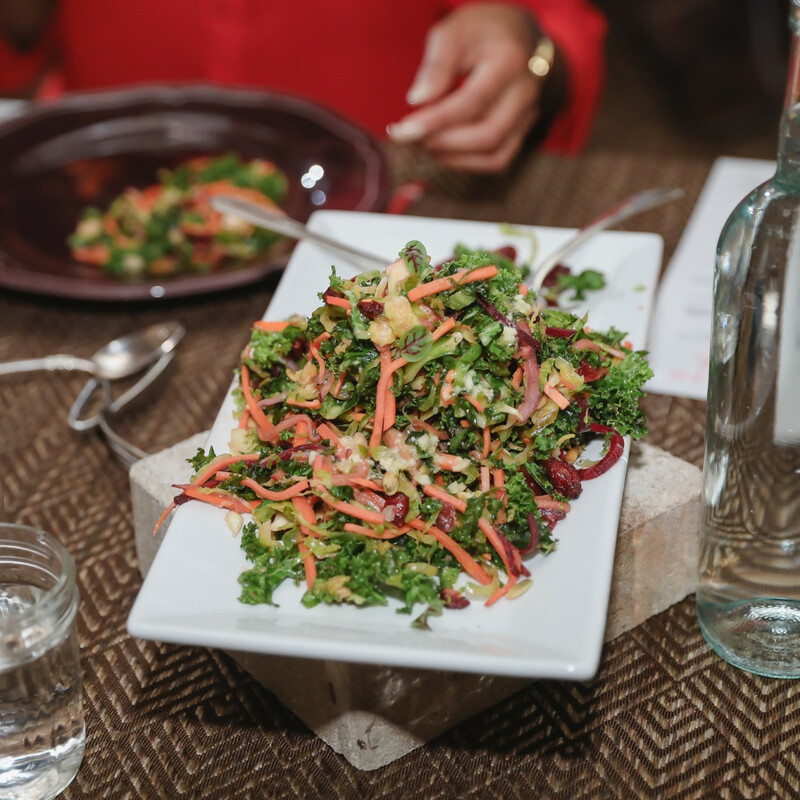 Houston has several very good Indian restaurants at all price points, and the meal’s fare demonstrated Musaafer’s potential to join them. 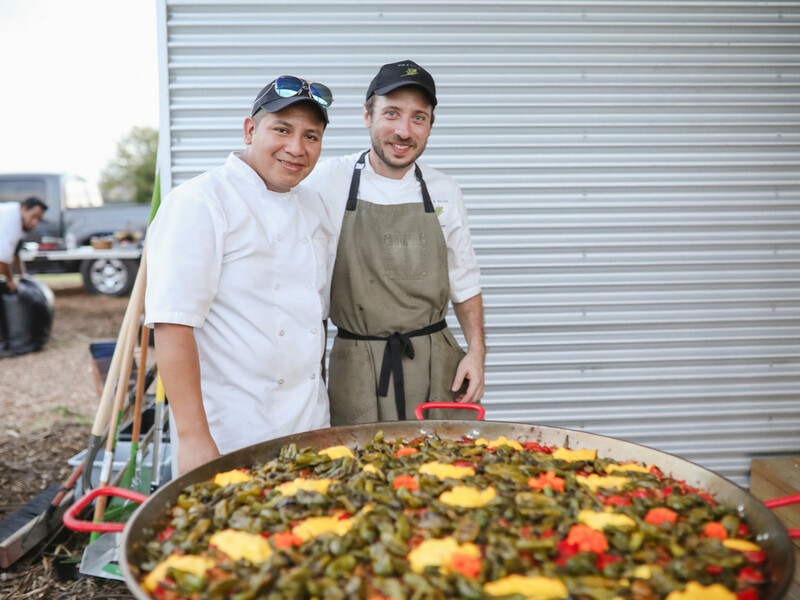 Praising Istwal and Suri’s dishes is not to slight the contributions from chefs Erin O’Leary Stewart (Define) and Tommy Laczynski (Fig & Olive). 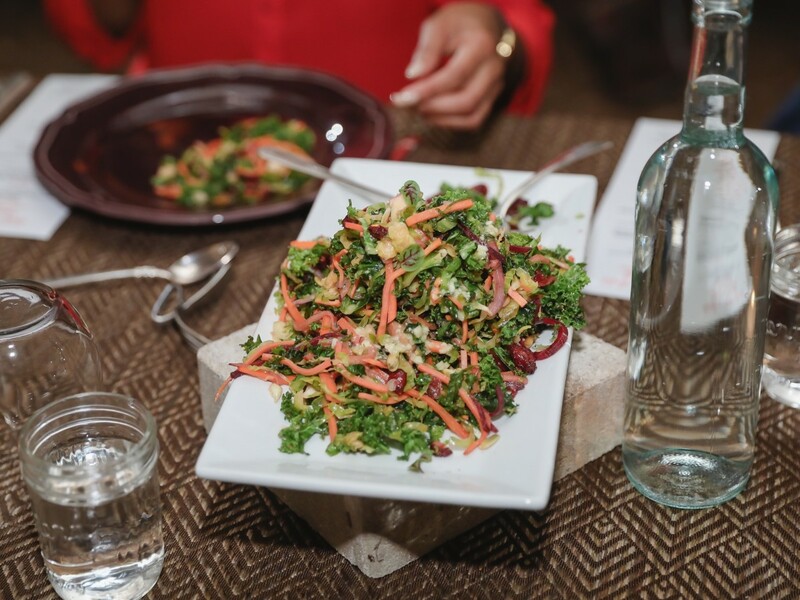 Stewart prepared two fall salads using produce from the farm. 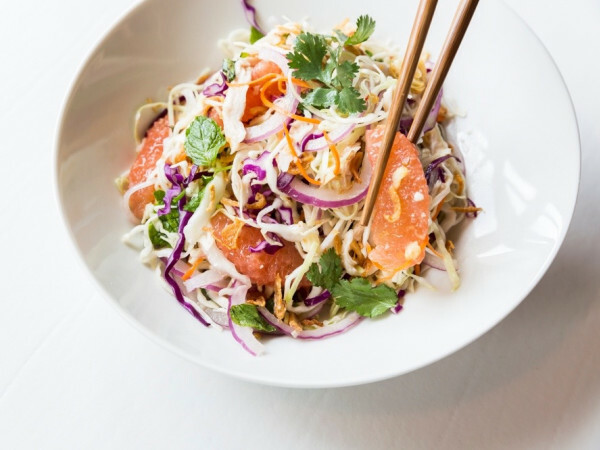 Laczynski, temporarily freed from Fig & Olive’s Mediterranean fare, channeled his Carolina roots with a smoked whole hog accompanied by fennel and citrus slaw. 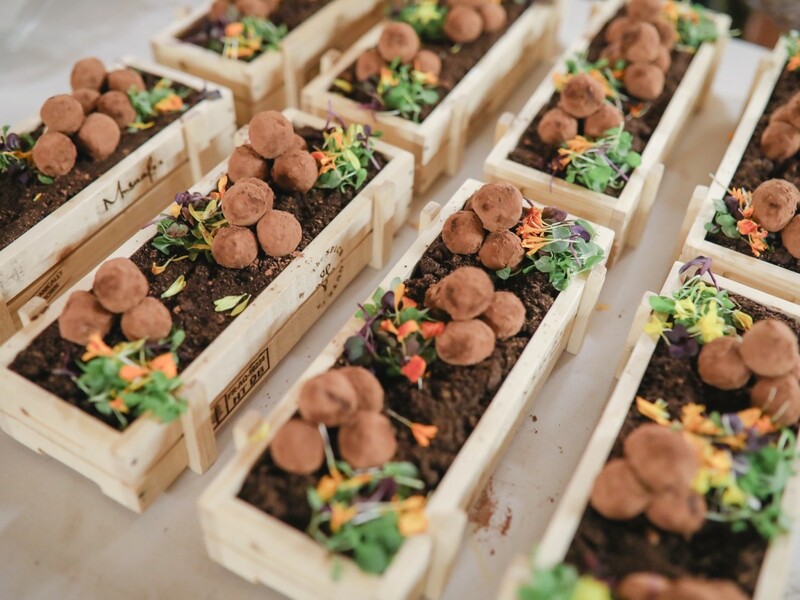 Both chefs also served first-rate desserts — Stewart’s root vegetable cake and Laczunski’s fig tart — that had the crowd of bold-faced names reaching for every slice. 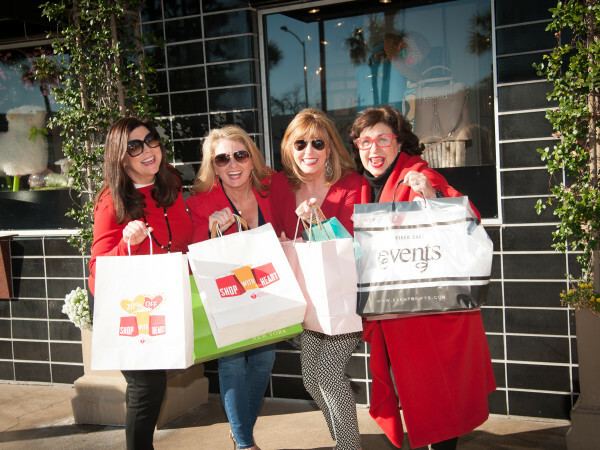 Most importantly, the event raised $10,000 to support Recipe for Success’ mission of fighting childhood obesity by changing the way children think about food. 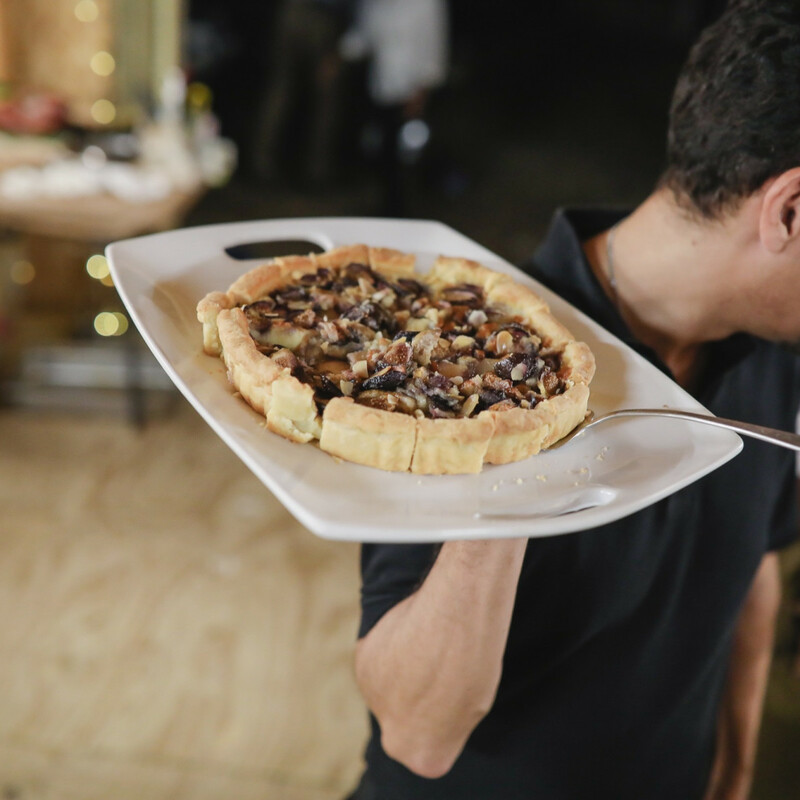 And gave the crowd a first taste of something to look forward to next year.